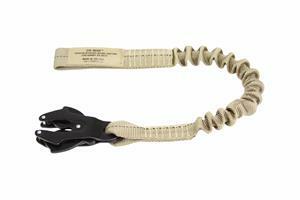 Retention Lanyard designed specifically for Air Crew use. 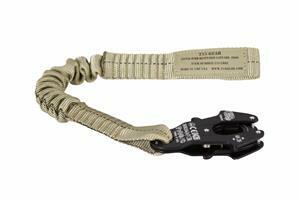 Designed for 1 end user supplied carabiner and 1 unique climb rated Frog fitting. 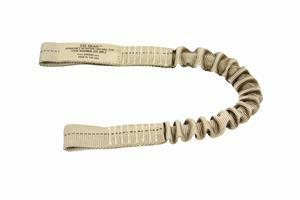 Retention Lanyard designed specifically for Air Crew use. 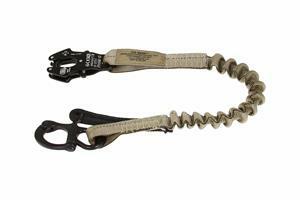 Designed for end user supplied carabiners. Made with Mil-spec tubular nylon. 1 high quality snap shackle provided and 1 unique climb rated Frog fitting. Made with Mil-spec tubular nylon. 17 inches long and stretches 26 inches (web to web). Designed for the Little Bird. Made with Mil-spec tubular nylon. 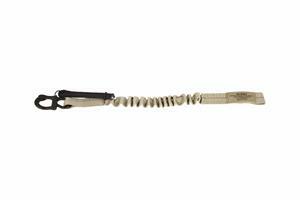 Designed for end user supplied carabiners. Made with Mil-spec tubular nylon. 17 inches long and stretches 26 inches (web to web).